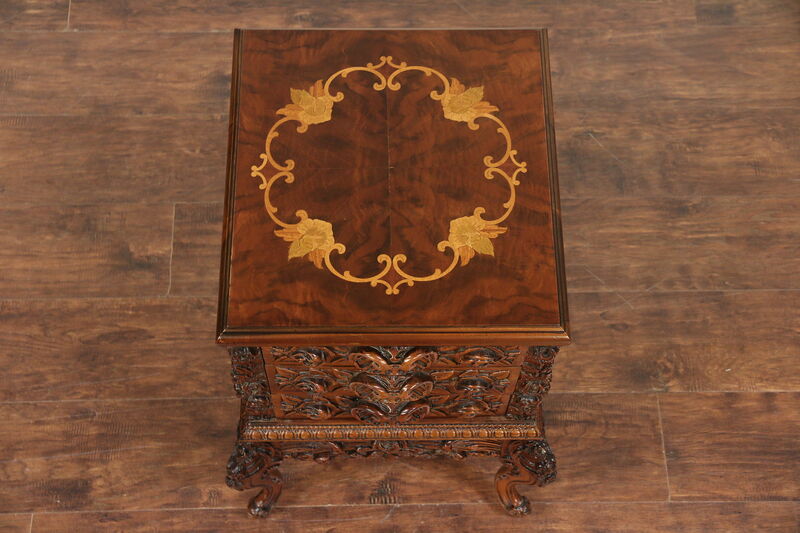 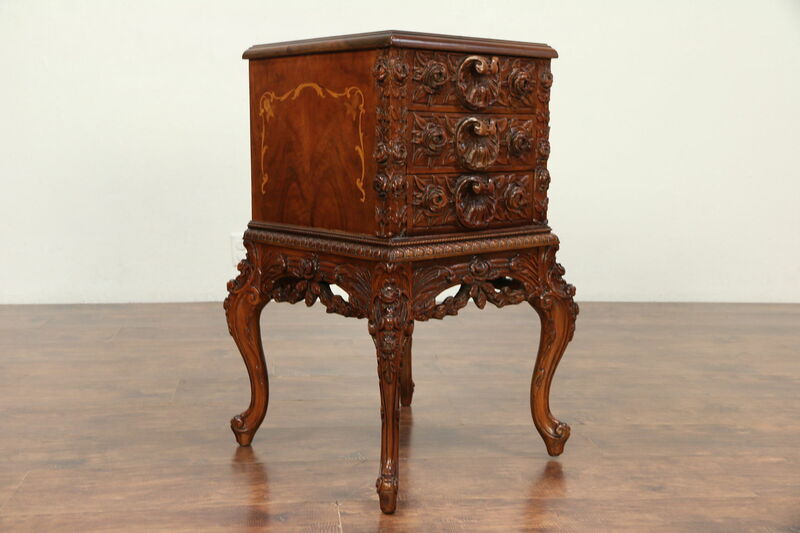 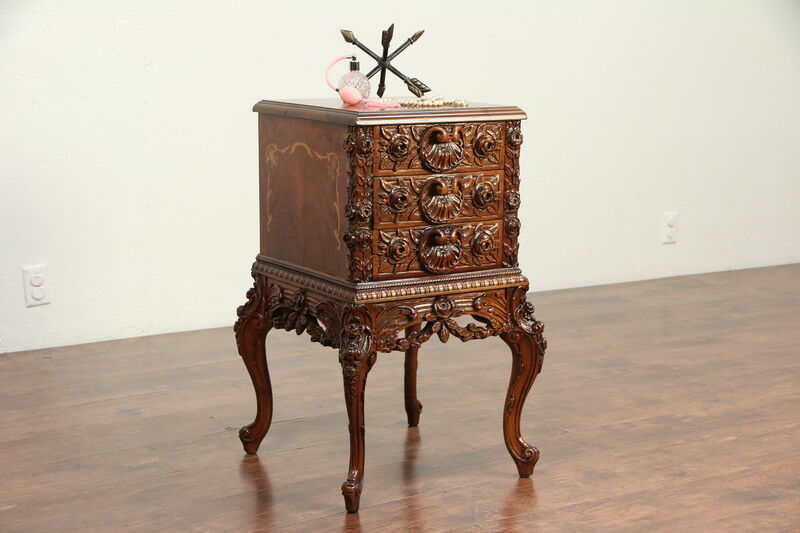 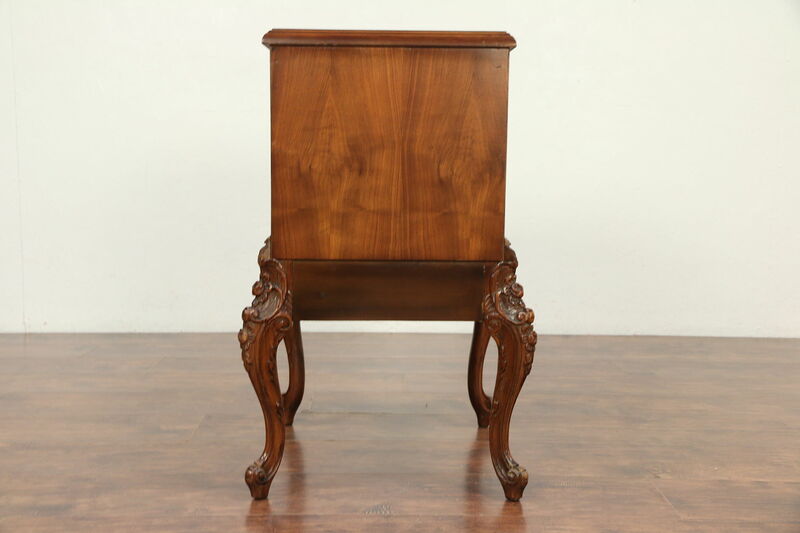 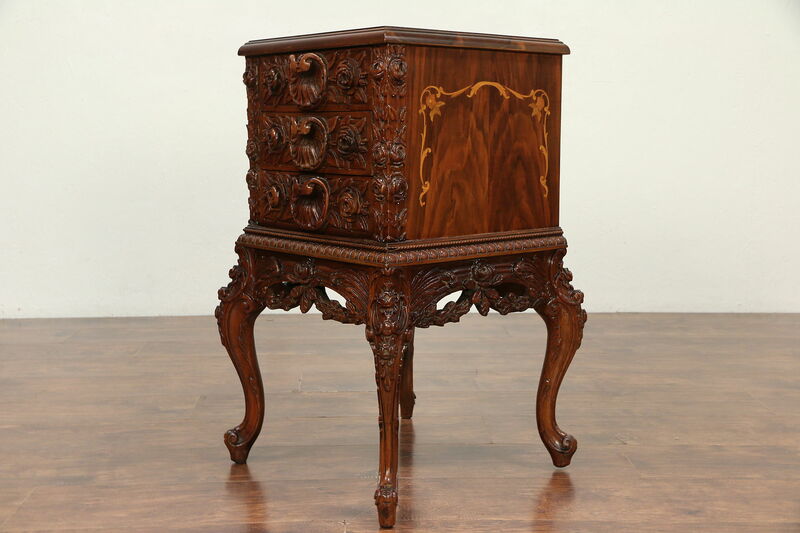 Lavishly carved of walnut with inlaid satinwood marquetry, this small chest, end or lamp table or nightstand was hand crafted in Italy about 1930. 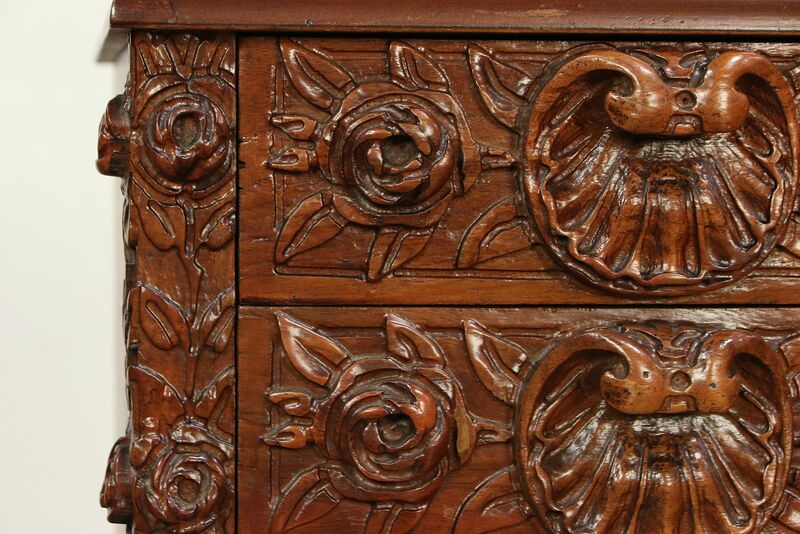 Shell and flower motifs are deeply sculpted in three dimensions. 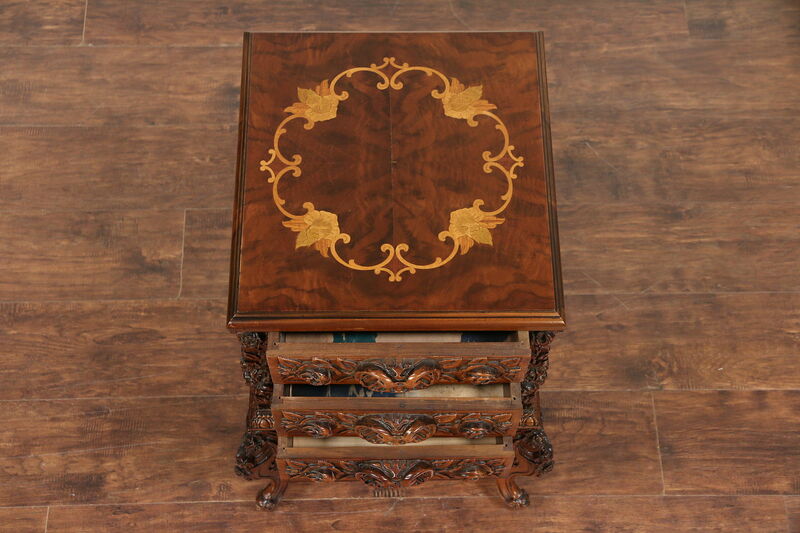 The restored finish is in excellent condition on this palatial vintage furniture. 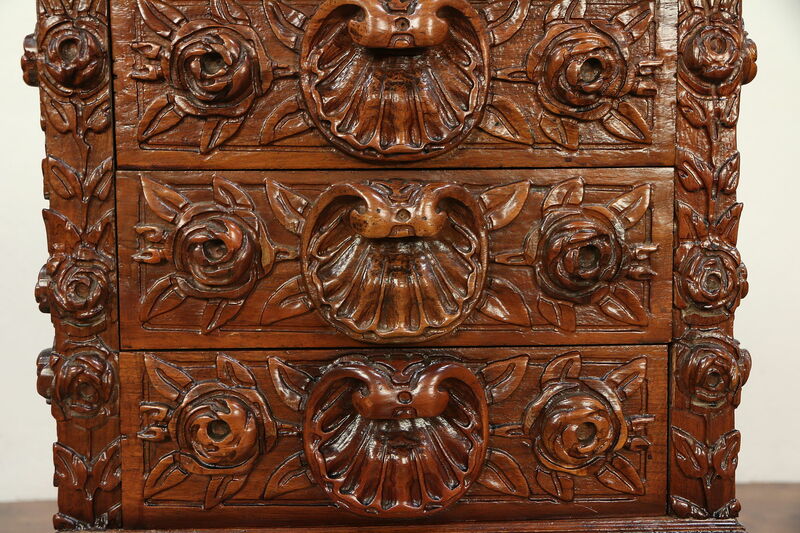 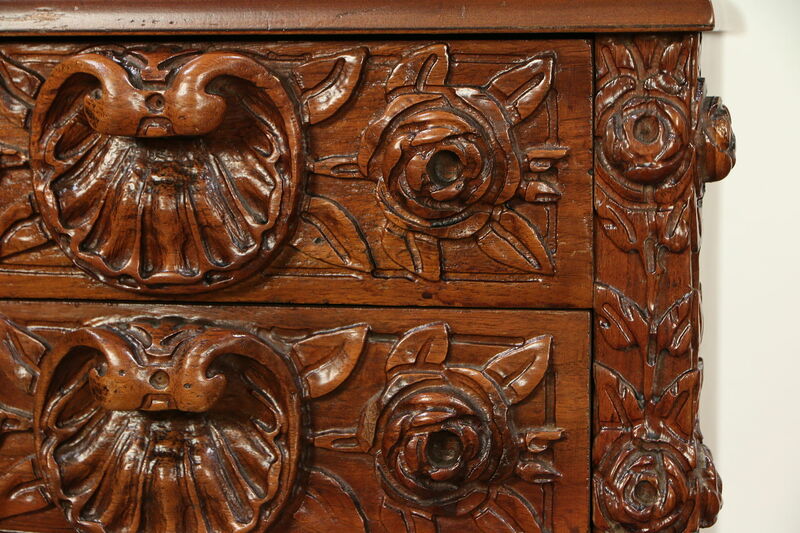 Drawers have carved pulls. 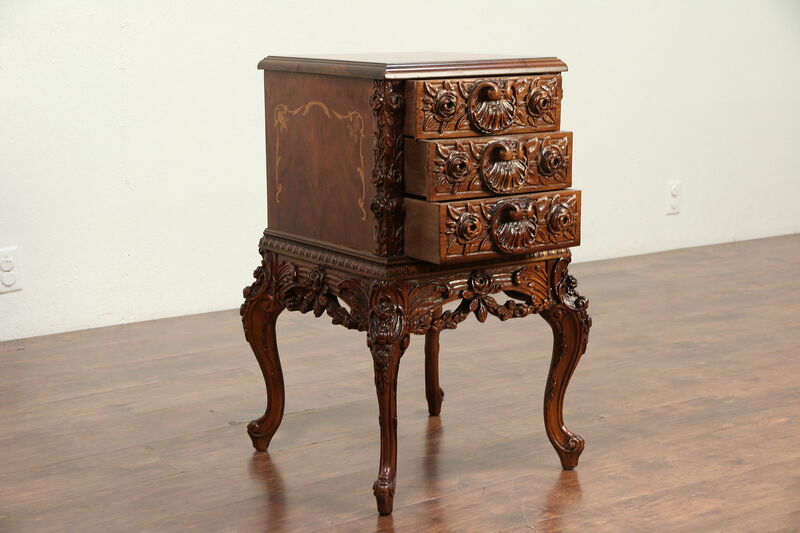 Size is 19" square and 31" tall.